Modern African history teaches, often tragically, the need to distinguish between what might be called natural phenomena from those that are essentially socio-economic-political. The droughts that ravaged many parts of the continent in the early 1970s were an example of the former. (I leave aside the issue of human actions and global warming.) As drought-stricken California presently shows, the famines and the tens of thousands of lives lost that came in their wake were not, however, inevitable. That horrific outcome was largely the product of the policies put in place by colonial governments and dutifully and sadly reproduced by post-colonial regimes. The same lesson is being taught, again, tragically, by the continent’s latest scourge. Human pathogens have existed in Africa ever since our species began to evolve there and they too evolve, sometimes resulting in viruses like Ebola. 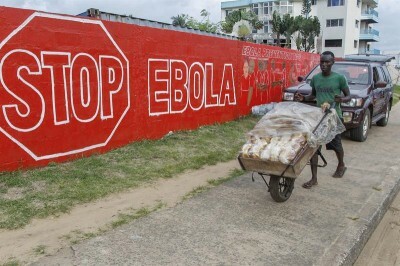 But there’s nothing inevitable about the Ebola epidemic that’s still unfolding. Like famines, it too is the product of history, the decisions that governments have made in the past as well as the present. The relevant question is whose interests are prioritized in those choices? How a society responds to that most natural of processes, the evolution of human pathogens, testifies to the answers it gives to that question. Colonial regimes, in place from about the last quarter of the nineteenth century to a decade or so after the Second World War, were, above all else, designed to extract Africa’s natural resources in the most lucrative way. Social services that might have benefited the colonial subjects, such as healthcare and education, were, to save costs, kept to a minimum—if that. This explains the profoundly undemocratic character of those regimes. The last thing the extractors wanted is for the subjects to have some say-so about how they were governed and, hence, how their natural resources should be utilized. These were the arrangements that post-colonial elites not only inherited and readily embraced but deepened to advance their own narrow class interests. In the case of Liberia, a semi-colony of the U.S.—nominally independent since 1847—its elite (the descendants of repatriated slaves from America) ensured that Firestone Rubber would reap enormous profits from its operations there. Thus, the outrageously ironic situation today where, in one of the world’s leading rubber producers, there are not enough rubber gloves to protect its citizens from the scourge. In recent decades, in the name of fighting wasteful government spending and corruption, international lending agencies such as the International Monetary Fund have demanded as a condition for getting new funding African governments must reduce their spending. African elites have willingly agreed to do so with resulting cuts in healthcare and education—helping to create the perfect storm for the Ebola virus. Lest it be assumed that only poor or underdeveloped countries are afflicted with such tragic outcomes, consider what happened in the richest country in the world in 2005. In the wake of a natural phenomenon, Hurricane Katrina—global warming again notwithstanding—more than 1,600 people (and still counting for those of us intimately familiar with what happened) lost their lives in New Orleans and environs. Yet two months earlier a hurricane of greater intensity, Dennis, struck Cuba twice and only 15 of its citizens perished. Neither outcome was inevitable. The difference, rather, evidenced the deep going structural transformations in Cuban society after 1959—its revolution. For the first time in Cuba’s history, its toilers had a government that prioritized their interests and not those of a tiny elite. Their life chances, as measured by, for example, infant mortality rates, life expectancy, levels of education, dramatically improved, despite the fact that Cuba is still poor and underdeveloped. The starkly different aftermaths of the two hurricanes in both societies spoke volumes about what Cuba’s toilers had achieved and what their apparently better-off counterparts 400 miles to the north had not. Neither is it a coincidence that Cuba has stepped forward, unlike any other country, to commit healthcare personnel to fight the Ebola scourge. Four hundred and sixty-one Cubans are either on their way or already in the affected areas. They were selected from 15,000 of their 11 million citizens who volunteered to go. That’s tellingly in contrast to, as of this week, the 2,700 U.S. citizens, out of a population of 316 million, who, according to the U.S. Agency for International Development, have volunteered to do the same. For Cubans there is nothing unusual about what they are doing since four thousand of their healthcare workers already serve in 38 African countries and about 45,000 in 28 countries elsewhere. Thus, the political choices a society makes have consequences not only for the life chances of its own citizens but also for those of other countries. And therein is the most important lesson. Until the toilers not only in Africa but elsewhere have governments that serve their interests they risk being once again needless victims of natural phenomena. August H. Nimtz is a professor of political science and African American and African Studies at the University of Minnesota.